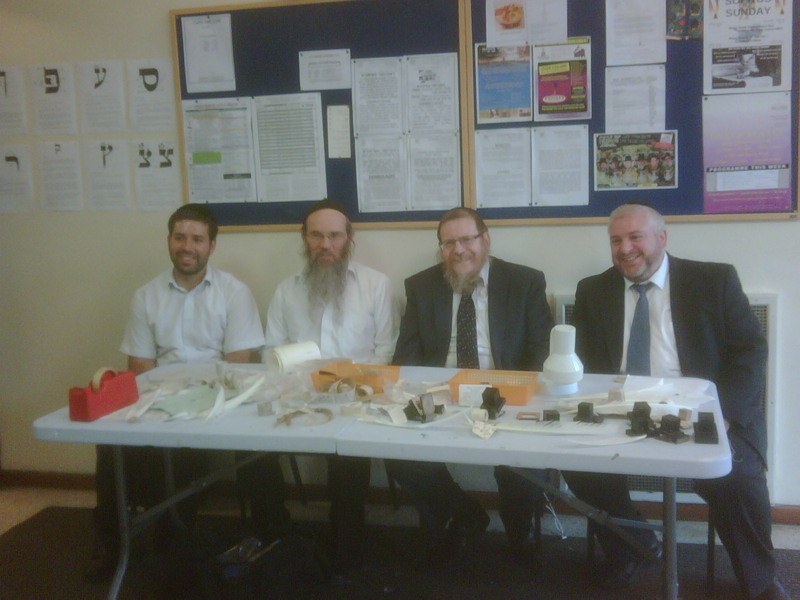 In preparation for the Hachnosas Sefer Torah, Safrus Sunday was held in the shul on 3rd July 2011. Several Sofrim were in Shul to explain and demonstrate various aspects of their work. It was a fun and engaging event for the whole family, and a fascinating insight into how Sifrei Torah, Tefillin and Mezuzos are written. There were opportunities for everyone to have a go at writing on parchment with a quill. Thanks to Gershon Hepner for arranging this event. Photos below are courtesy of Miss Dina Balkin.